Did Ernest Hemingway Really Marry a Kamba Girl? 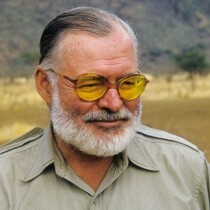 Celebrated American writer Ernest Hemingway made two trips to East Africa, one in the 1930s, and the other in the 50s. On the second trip, he fell in love with a Kamba girl named Debba and married her (and her sister) in a traditional ceremony. Apparently.